The In Color shade of pink (Blushing Bride) and red (Poppy Parade) are gorgeous! 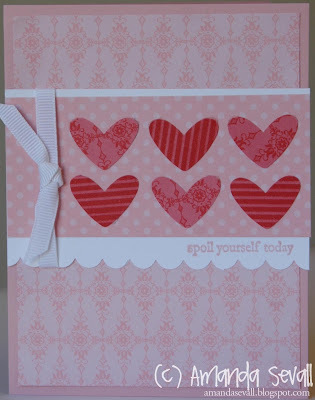 This card was inspired by this card by Becky Carafe - thanks for the inspiration Becky! Love your cards, Amanda! I'm passing on the Stylish Blogger Award to you! Check out my blog for details on what to do next. Card: So Many Candles, so Little Cake!